​Craig Vann is the proud father of three strapping sons who thankfully take after their mother, Audrey, in the looks department. They feel blessed to live in beautiful Vancouver, Canada, with its vibrant literary community. 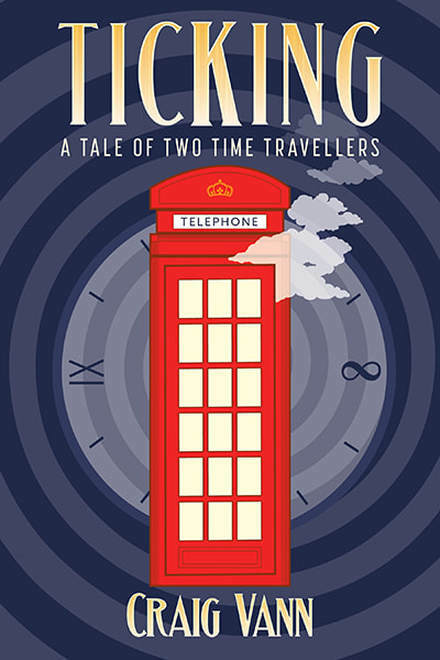 Ticking is Craig’s first novel, and the beginning of a series. The author is steaming ahead with Ticking II: The Hawking Sequence, forthcoming soon. 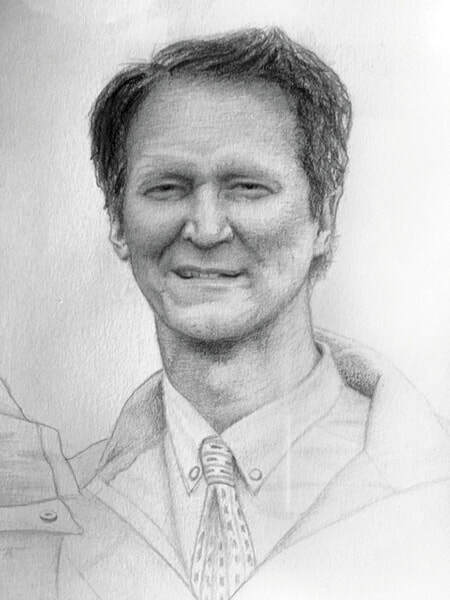 Thanks to the author’s son, Clark Van Alstyne, who provided the hand-drawn portrait of the author. So begins the young men’s journey through time, space, and 18th century England—where, separated from each other immediately, they meet a host of fascinating characters. Among them are people of fancy and fact, including the charming and roguish highwayman Jacques DuTemps, the beautiful Lady Rachel, and Brummbär the famous bear, as well as history’s own Henry Cavendish, the celebrated scientist and natural philosopher, and John Fielding, the ‘Blind Beak’ of London and founder of Britain’s first police force. The pair has 39 days to find each other and enjoy what history has to offer without being found out… or hanged for witchcraft. Will Sky and Zac have the wits to survive the 1700s? Can Sky really leave Helena to the history books? And how to explain their Nikes? Leave a review on Amazon or in the contact form below. Thanks for your support!